Recently i noticed that slowly but surely, La Roche Posay has taken over the reign in my skin care cabinet. I have been loving this brand for a long time and thought it might be fun to introduce you to my brand favourites. La Roche Posay is named after a village in France, named, you might guess it, La Roche Posay. Not only has La Roche Posay a source of thermal water but also a record of treating people and their skin care issues with said water. In 1975 then the laboratoire pharmaceutiques la roche posay which was and remains a pharmaceutic company producing skincare for the pharmaceutical market was founded mainly producing prescription skin products. In 2010 it was renamed to Laboratoire dermatologique La Roche Posay. Over the years La Roche Posay started to cater more and more to the general skin care market along with pharmaceutical products becoming in general more popular. 1) Effaclar Duo anti imperfections aka the life saver: This product has been raved about on blogs. However, this was one of the few occasions where i seem to have been ahead of the trend. I have been using this for a long while and it is amazing. Whenever i feel spot coming up i will add this on top and usually i really notice the effect within a few hours. After a few days, the spot will just vanish without really ever becoming clearly visible. This stuff is amazing and i cannot be without it anymore. I never travel anywhere without this. 2) Serozinc: I guess this qualifies as a toner but is pretty much only a Zinc sulfate solution. No tonnes of additives, just watered down zinc sulfate. You could even use this on a baby. It calms down the skin, combating redness and spots and is oh so refreshing. This stuff wakes me up in the morning and refreshes me in the evening. This would be even okay on injured or inflamed skin. 3)La Roche Posay Effaclar Mat. I have times in the year where my combination skin turns into a full on oily disaster and then this is my saviour. This moisturiser hydrates my skin while actively reducing sego production. Even when i once had a red patch on my skin (allergic reaction i guess) and i could barely use anything without feeling like my face was on fire, this i could still use without any issues. Really great recommendation for those of us with too much glow but still sensitive skin ;). 4)Effaclar astringent toner. I started to use an astringent toner with salicylic acid after reading up on it on the website of Caroline Hirons (aka Lady Hirons, skin care goddess). Unfortunately a lot of the Hirons approved favourites are hard to get a hand on in Belgium but this toner does a pretty good job too. I use it after cleansing and before the serozinc. 5) Redermic C eye cream. You are looking for an affordable eye lotion for sensitive eyes? Give this a shot. I was reacting on everything from from drugstore to high end. I was already about to give up when asked my pharmacist and she gave me a good bunch of samples to try my way through. Even a good bit of the pharmacy eye cremes for sensitive skin made my eyes burn, beside, obviously La Roche Posay. This one contains Hyaluronic acid and vitamin C which helps even out the skin. It also brightens up the skin slightly giving a more awake look. They have those for dry and for combination skin and with and without UV filter. I doubt after the nightmare of allergic reactions around my eyes, that i will ever use another one anymore. I have also tried several other products from la Roche Posay but those have been my firm favourites and i have repurchased them several times. The best part, these are pretty much available for drugstore prices. Granted its the higher end of the drugstore prices but its great quality for money. 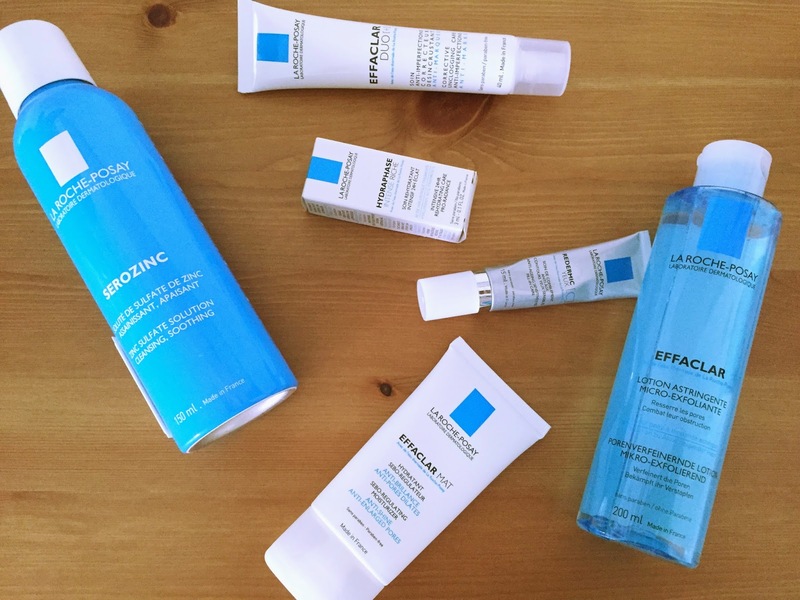 Have you used La Roche Posay in the past? What is your favourite? Let me know in the comments. Oh wow thanks a lot. I always have the feeling my pics do not quite measure up. I have really quite fallen in love with La Roche Posay and whenever i try something new i find myself returning to this one.